“Behold, it will spring – a new ray of hope” is exhilarating while imparting an untamed, joyous carnival that fully embraces the natural world, despite the indispensable occurrence of loss and death in it. Brings shades of life and nature; it is a collection of observations from mundane life. The trivial and astonishing experiences are written with soft and hard words. These poems are introspective and gentle, addressing death, separations, pain, heinous deeds, identity, and alienation while reflecting the ache of the human heart and our desire to belong with all that is good; it is a daringly intimate collection of 101 Poems spanning 5 years which can be read in any order and brings vivid illustration. Rabisha is a poet and an illustrator, interested in the varied spectrum of life. She is presently, working with Hindustan Times Media Ltd. as a Senior Content Writer for Career & leadership. She is Master in English Literature form Delhi University, currently preparing for further studies. Her poems are much inspired/ provoked by the social and physical landscape of India especially Delhi & Bihar. 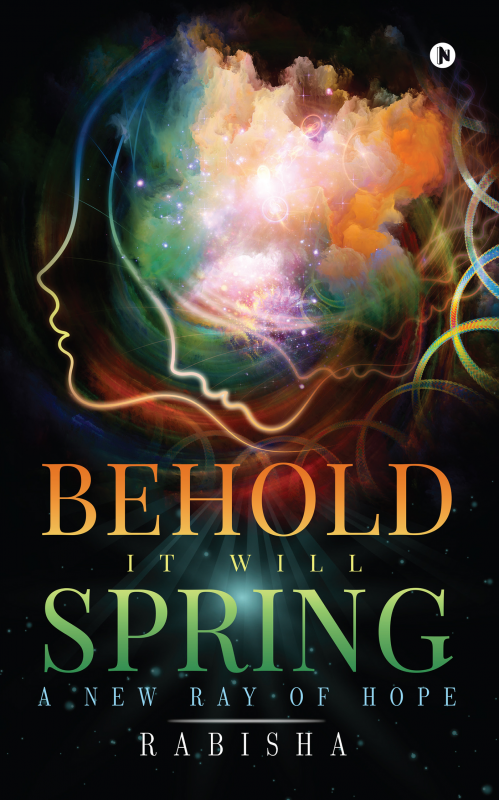 Behold, it will spring – a new ray of hope is insightful retort to the human condition as she perceives it, and always tries to bring equilibrium between opinion and reality.